First the language of the build is stated. 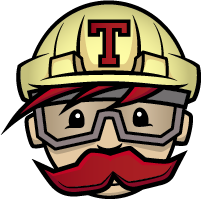 Travis comes with two steps: install and script where the latter means test tour stuff. git config --global user.email "highlevelbits@eldfluga.se"
git config --global user.name "high level bits automator"
git commit -am "high level bits automatic deploy"
the -add flag adds it automatically to the .travis.yml in the current directory. Handy! Now it is encrypted so that only travis can decrypt. Finally we tell travis to only build master so we can keep branches for work in progress without publishing them. All the files used for publishing the blog are available for review in the repository. I had some excellent help from Gergely Nemeths post about this (just translated the node stuff into ruby) and also from the excellent travis docs. So what will this give us? Hopefully more shorter posts since it now will be possible to publish directly with a push inside github.